Three months ago I first posted about doing Kratky on a small scale of one container per plant. A short time afterwards I got a whitefly infestation in my indoor garden, and had to cut everything down. It was a shame, since the lettuce plants were just starting to get big. 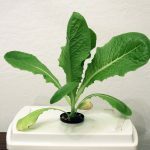 It’s been six weeks now since I started new plants from seed, and I am trying four different varieties to see which grow better with this method. 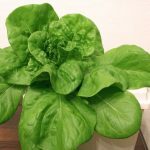 Harmony MTO lives up to the reputation of bib lettuce varieties doing the best in hydroponics. Almost nearly as good, the Multigreen 3 MTO is getting quite big now. 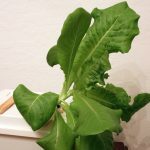 Buttercrunch and Green Towers look okay, but are slow growers. These varieties are 60-68 days to maturity, but they have been growing in winter light, so I’m giving them a few more weeks than that. With Kratky, the plant should consume all the liquid provided to it and be ready to harvest when it is gone. Harmony has used a liter, during an estimated half of its lifespan, while Green Towers has barely used any. It will be interesting to see if Harmony can actually consume all that water before I am ready to harvest. I will be starting 4 new varieties of lettuce in a few weeks so they will be ready to be transferred in after these are harvested. 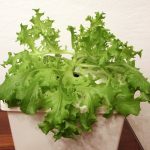 I have started to “cut and come again” these lettuces. Altogether they make a great mix. The Harmony is a huge leaf, so I tear those up, they are neutral flavor. Multigreen is a nice frise style that is slightly bitter. Buttercrunch is quite nice, though nothing special. 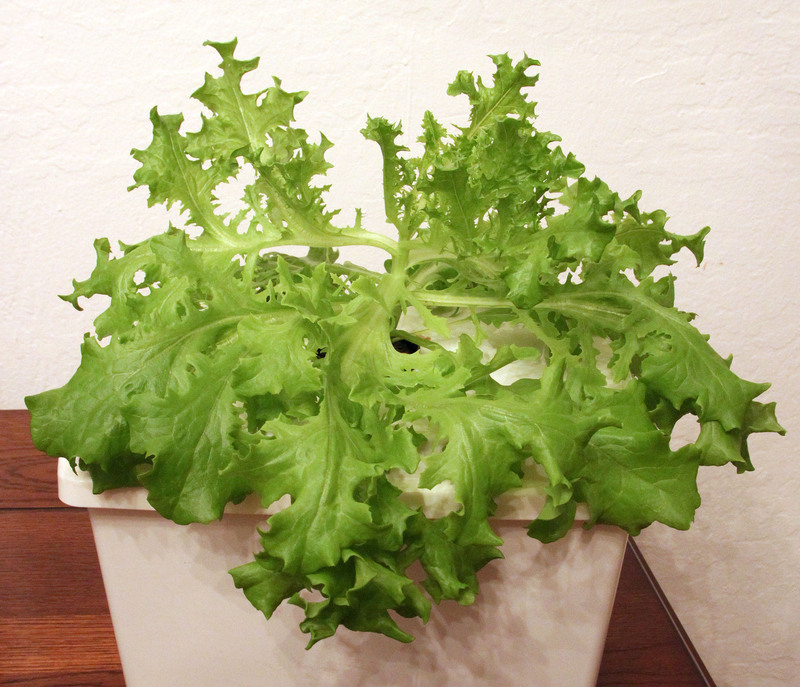 Green Towers is nice and crisp – I’m going to grow 3 of these to a container next time. If I had more room, I would probably rotate 3-4 of these in every 3-4 weeks or so to have a regular supply.